Our courses are approved by the state of Georgia to satisfy your electrician continuing education requirements. Complete the continuing education to renew your GA electricians license today. All of our courses can be completed At Your Pace Online to help you meet the state's requirements to maintain your license. Once you finish your class you will have an official certificate of completion to save for your records. In the state of Georgia, electrical contractors are required to complete 8 hours of continuing education every two years (4 hours every year). Electricians licensed less than two years, but more than one year, are required to complete 4 hours of Georgia electrician continuing education prior to their initial renewal. 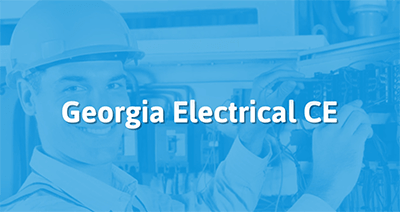 Our Georgia Electrical continuing education courses are done At Your Own Pace. This is a 4 hr course designed to help electricians on Georgia meet their continuing education requirements. The course examines the changes made to Chapter 5 of the NEC for the 2017 version. The course content has been approved by the State of Georgia. 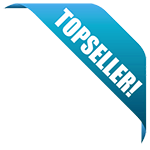 The course will look over the segments of the Code dealing with special occupancies. This course is designed to help you meet your continuing education requirements by covering changes made to Chapter 2 of the 2017 NEC. The course has been approved by the State of Georgia and will be reviewing code for Chapter 2: Wiring and Protection. All courses are completed At Your Pace online! This course is designed to help you meet your continuing education requirements by covering changes made to Chapter 2 of the 2017 NEC. The course has been approved by the State of Georgia and will be reviewing code for Chapter 3: Wiring Methods and Materials. This course is designed to help you meet your continuing education requirements by covering changes made to Chapter 2 of the 2017 NEC. The course has been approved by the State of Georgia and will be reviewing code for Chapter 7: Special Conditions. Complete this course At Your Pace Online!